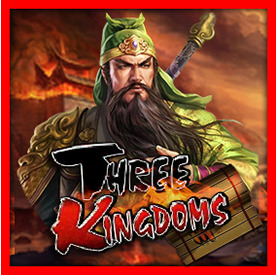 In Three Kingdoms, three or more Chinese Weapon Symbols will trigger Bonus Game. -If light spots on the "Pass Crossing" symbol wins the Pass Crossing Award"
When 3 or more Chinese Weapon Symbols appear will trigger Bonus Game. Fever game will be triggered when there are 4 identical symbols appear only on the 4 corner in one game. Player will have the opportunity to win the " All Same Award"